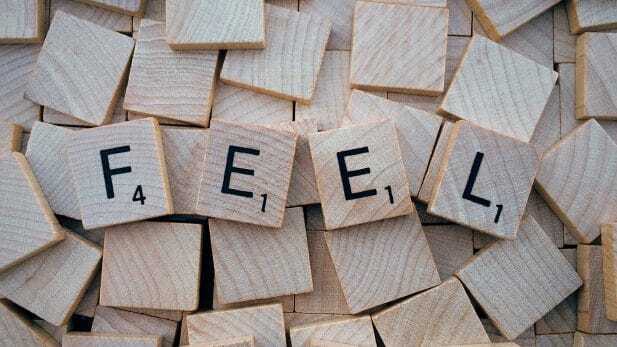 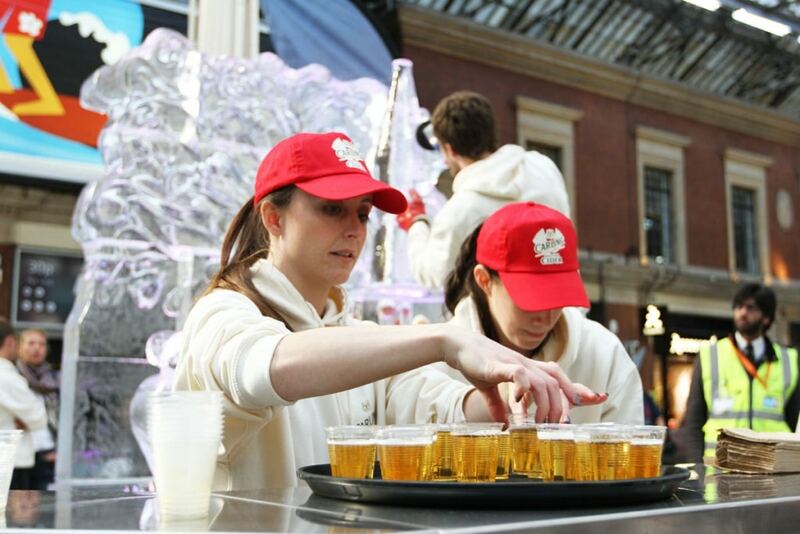 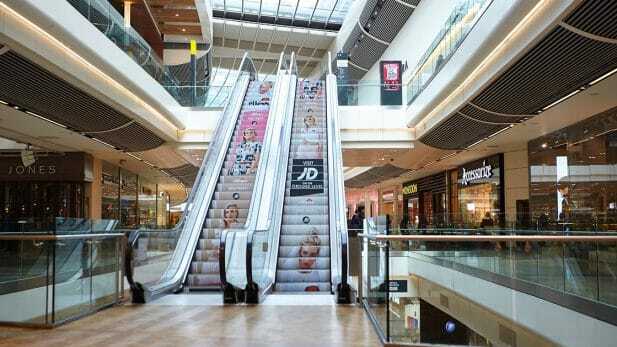 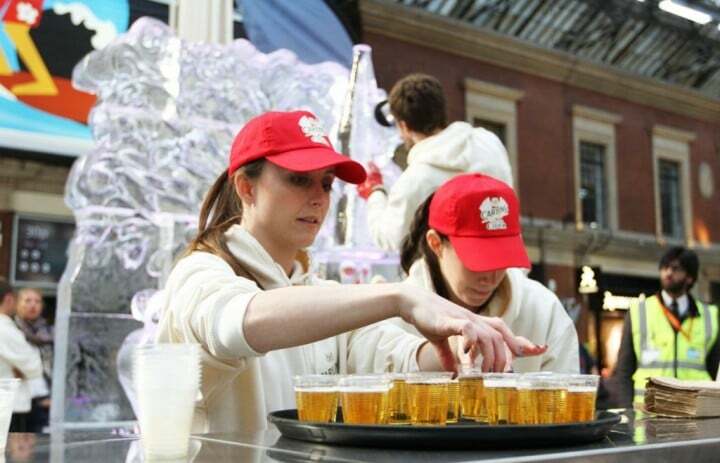 Deliver trial via a product sampling campaign to support the launch of Carling Cider. 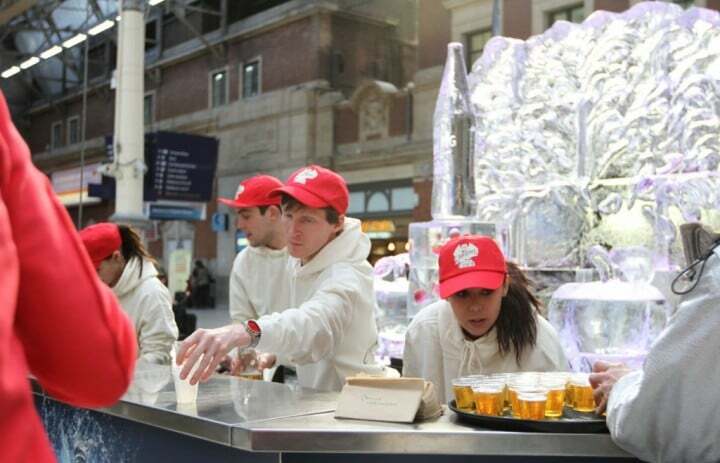 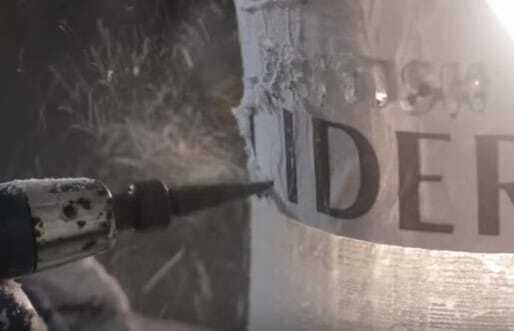 Create a brand experience which embodied the ‘ice-cold’ and ‘crisp’ taste of Carling Cider. 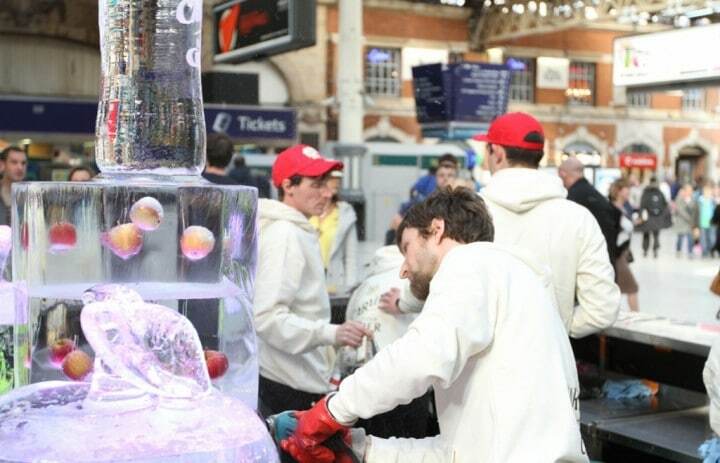 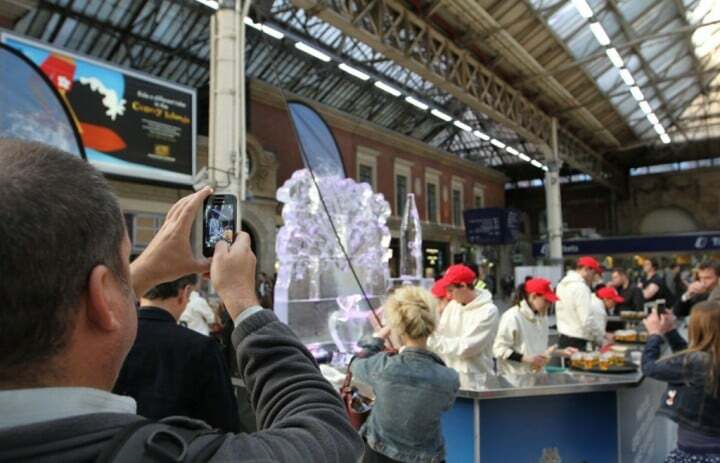 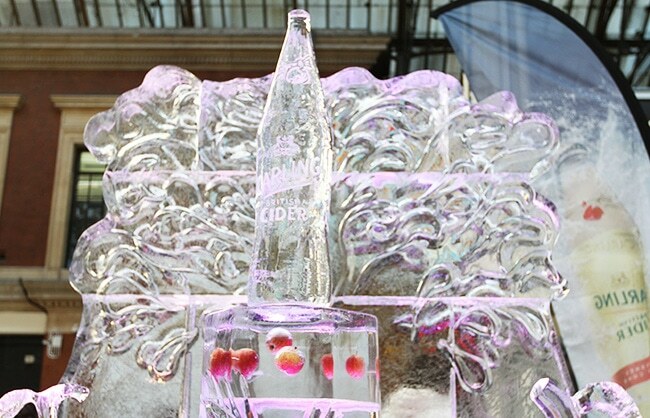 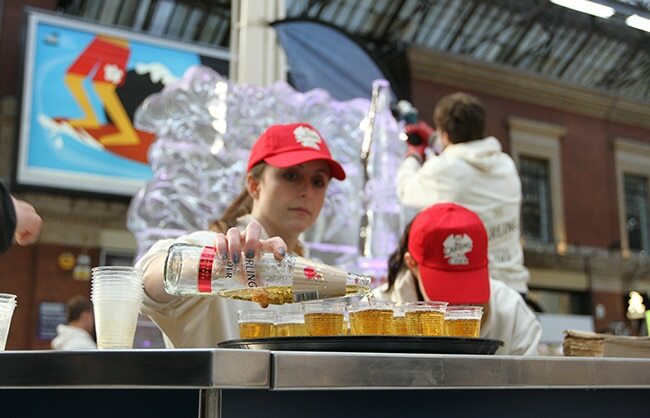 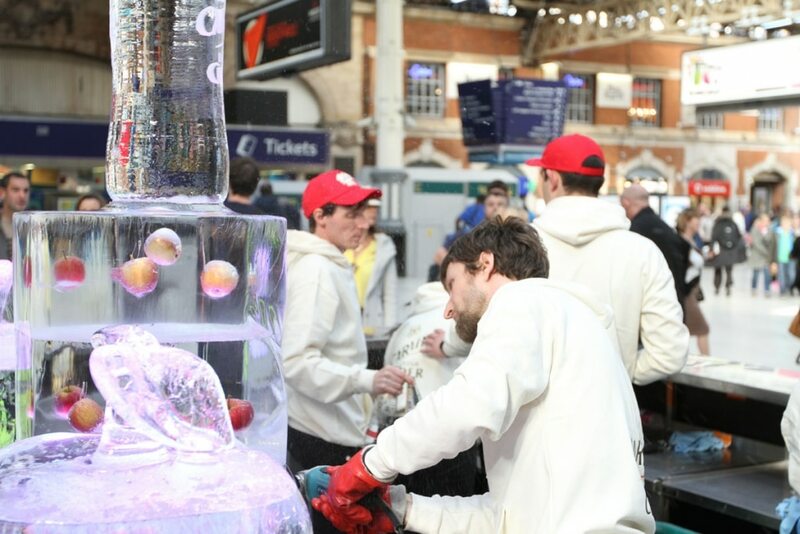 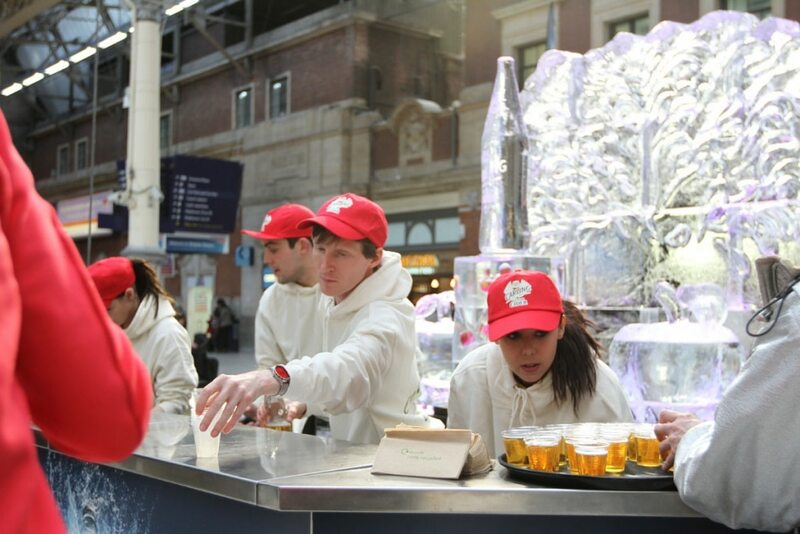 Creation of a sampling bar and an ice sculpture which embodied the crisp and fresh taste of Carling Cider. 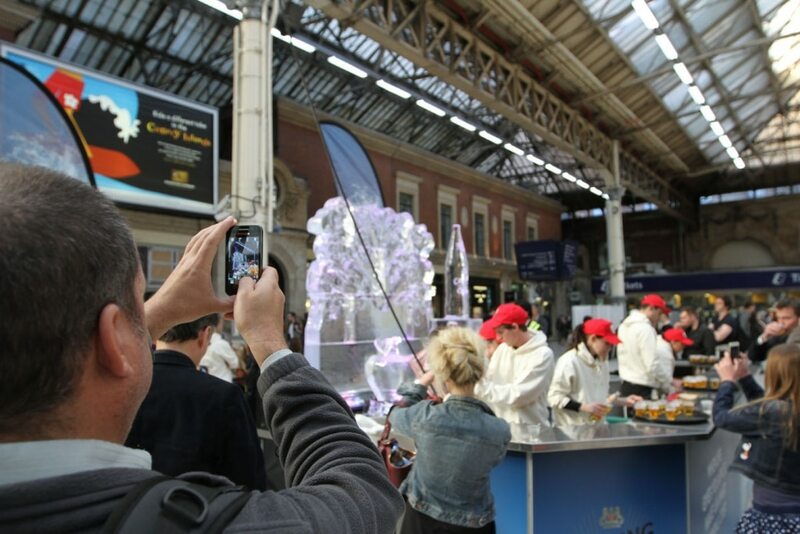 Installed at London Victoria accompanied by our sampling teams we distributed 7,000 samples over the course of the launch day.